I would not be exaggerating if I said that I thought at least a million times if I should take up this year's A to Z or not. While I've had a pleasant year so far, I've been terribly busy. Work, travel, household chores and reading takes up most of my time and I do find time to write 2 or 3 posts a week. But writing everyday for a month is not an easy task, especially while managing a full time job and a home. I am not the one to write on weekends either. I prefer not to touch my laptop during weekends at all. After successfully completing the A to Z challenge for four consecutive years, I initially decided not to take it up this year. Then suddenly five consecutive years sounded much better and here I am, bravely taking it up for another year. My theme last year embraced the bibliophile in me. This year, I had a lot of themes playing in my mind and after much thought I finally narrowed it down to two. One of it I thought was way too personal and I'm not completely sure if I wanted to share it with the world yet. So, the second idea became the default. While it might sound easy, I still do not have a single post planned. So, this is how it is going to play out. I pick a favorite movie of mine for every letter (which is going to be a Herculean task in itself) irrespective of the language it is in and I will tell you what the movie is about and what I loved about it. As much as I love reading, I love watching movies as well. I watch the Oscars/Golden Globes/Baftas like a hawk and am more often than not updated on all movies. While I'm not a big fan of Hindi cinema, I do have a couple of favorites. If it makes it to the top or not, we shall see. Be warned, I'm not a fan of chick-flicks or the slice of life rom-coms. I like movies with good content. Movies that break something in me. Movies that get me thinking. Movies that make me smile while teaching me a lesson. I love watching book adaptations as well. Of course I compare them with the books but there are some movies that I can think of where the movies were as good as, if not better, than the books. I'm very excited to share my favorites with you all. While writing everyday is not going to be easy, I need to learn to prioritize better. So, I get a lesson out of this anyway. I'll be traveling until the beginning of April, so coming back to zero posts in the pipeline will be a challenge. But honestly, this is how the past four A to Z's have been for me. I've never written ahead and scheduled it. I always manage to write a post on the very day for that letter and post it. So far, it has worked out well for me. But yeah, no harm in being prepared. Maybe this year I'll try to have a couple of posts written ahead of time. Fingers crossed. To all those who are participating this year, wishing you all the very best. May we support and motivate each other from the start, through the challenge and till the end of it. I'll be visiting my favorites every day. Do come back to check on me as well. If you are a movie lover like me, do not miss this space this April. I will love to read your posts, Soumya, like I do! Because there is often something different that I find here. The frankness with which you opine on topics makes me look up to you, and wish I could be like you! Reading your movie posts will be an interesting activity for me for the reason that I too dislike chick-flicks and rom-coms, and prefer movies with some content that touches a chord, or makes me think! looking forward to visiting you every day next month! Thank you, Doc! I loved your theme too. I hope you have quite good a list by now, Shalini. Aha! This is going to be super interesting and fun. 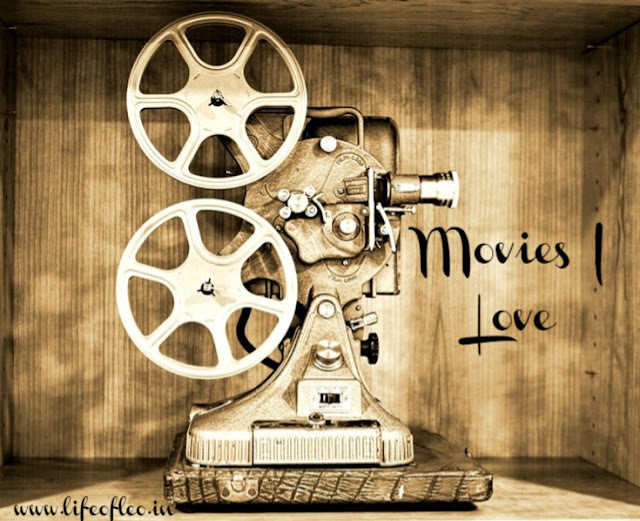 I am looking forward to read all your recommendations and views on movies from A to Z, Soumya! I hope you enjoyed my posts this April. Cheers! I am not very updated on movies and am always looking for recommendations just incase I have the time sometime. I think your list is going to be a ready reckoner for those like me. Looking forward to read your posts. I hope you enjoyed my posts this April, then. I am not a big fan of any particular actors but I love watching movies. Fiction or not, I always find something meaningful in each movie. I would definitely love to read your recommendations, Soumya. Thank you, Poonam. I hope you liked my choices. Thank you so much, Shantala. I try my best to get things done.